2 bedrooms 1 bathroom • by main castle compound • heat available . 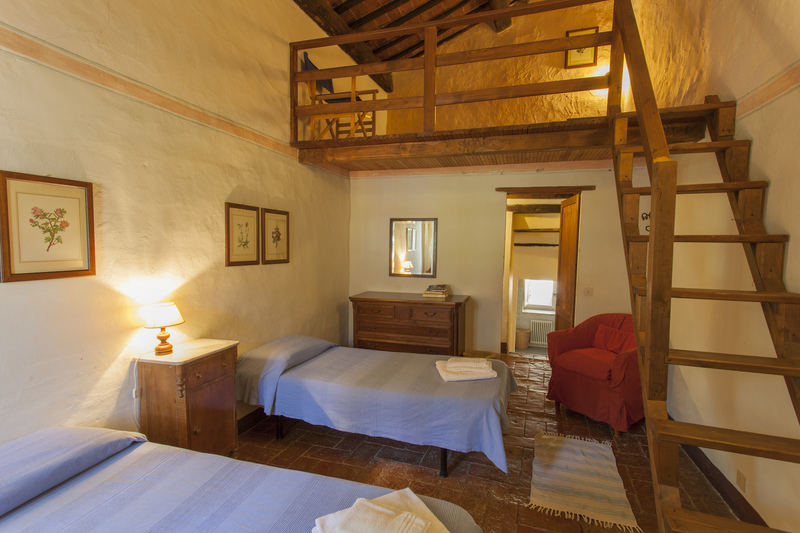 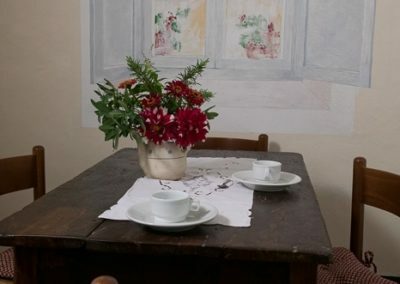 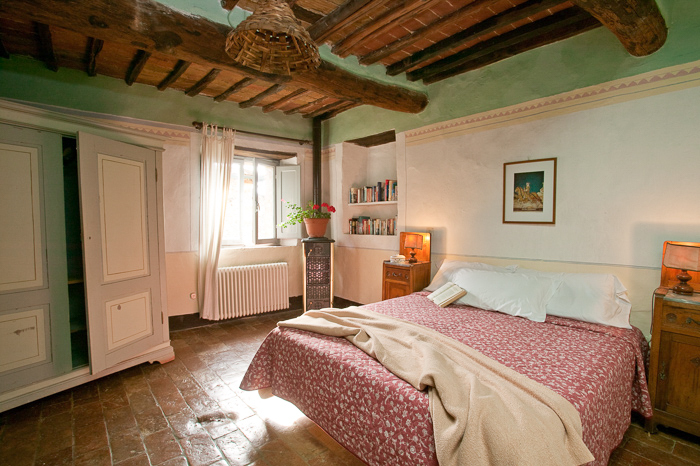 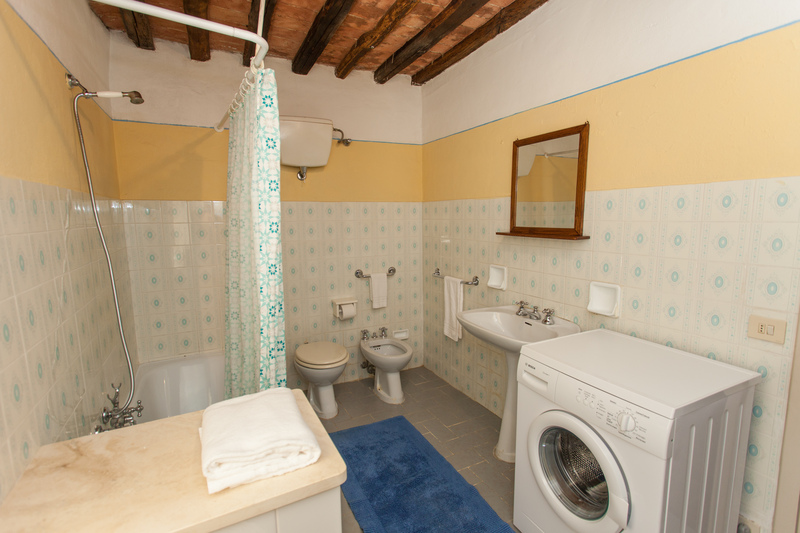 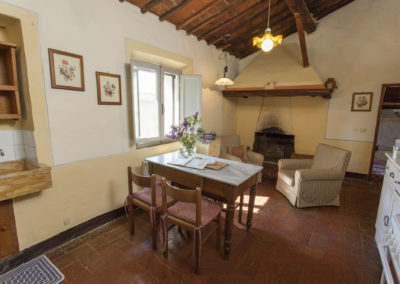 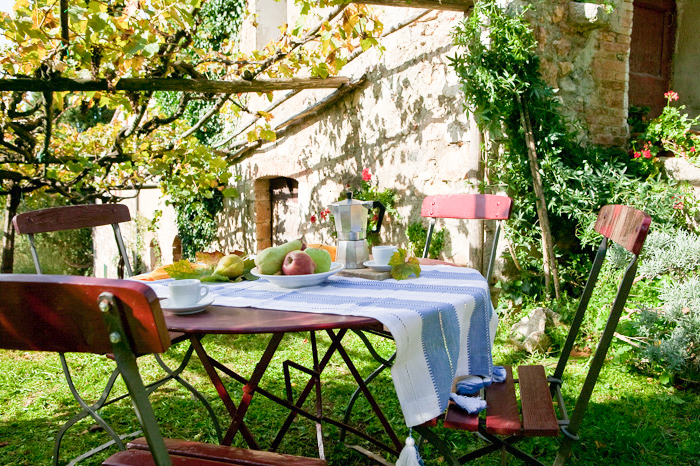 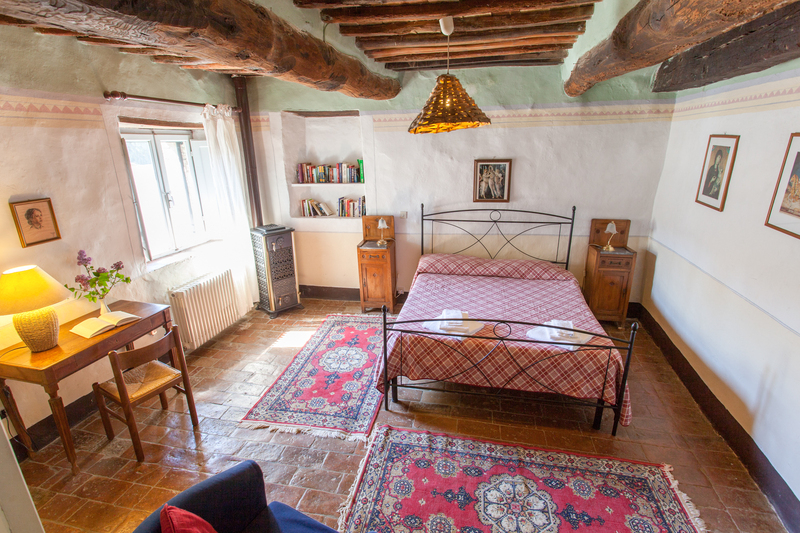 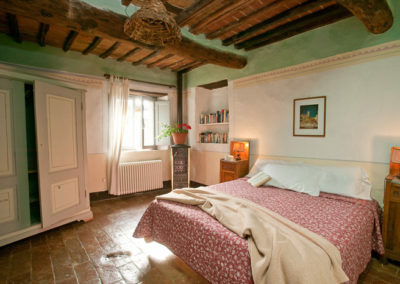 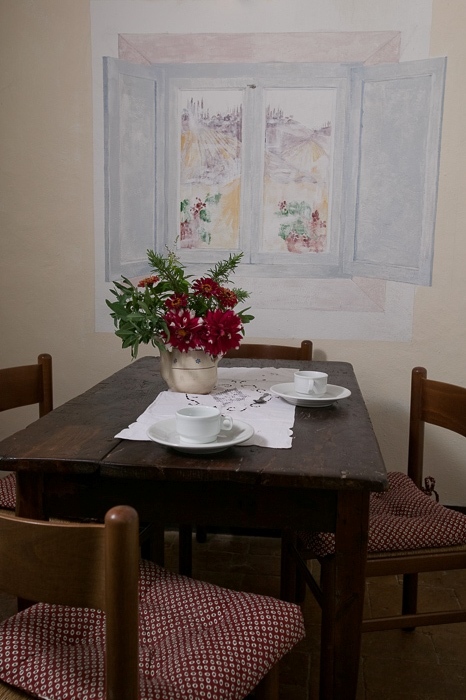 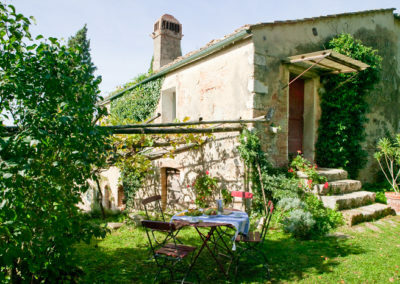 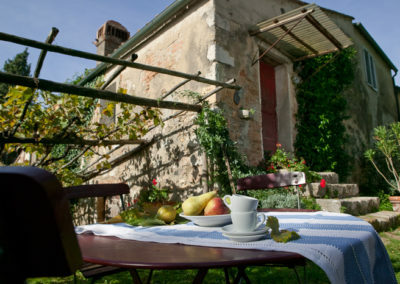 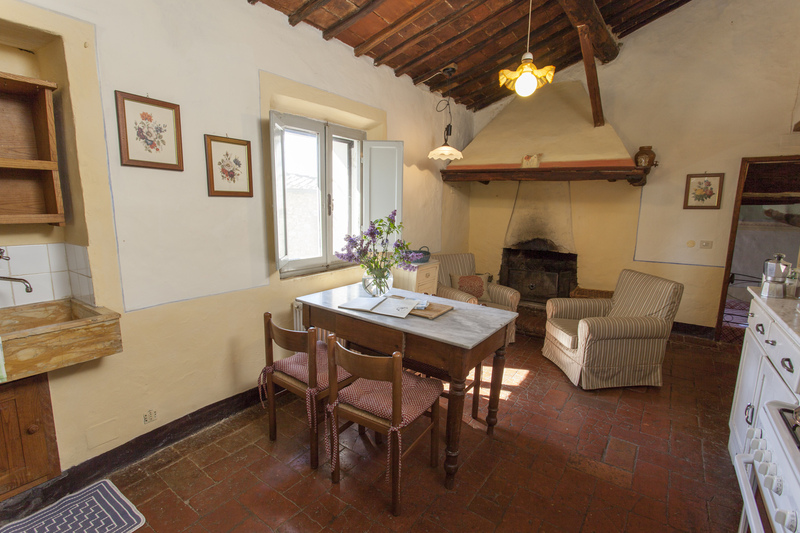 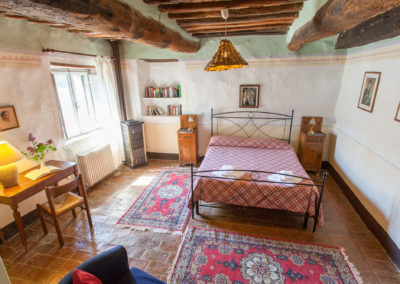 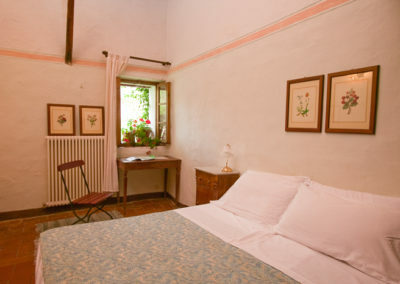 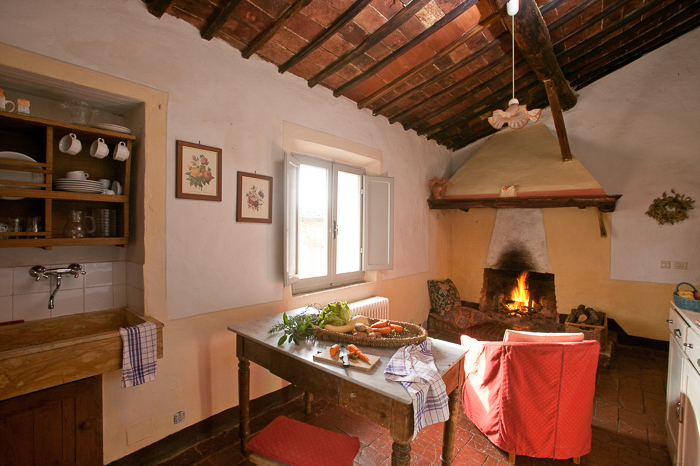 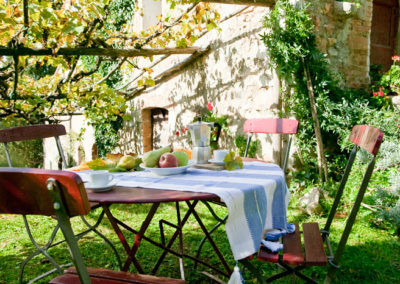 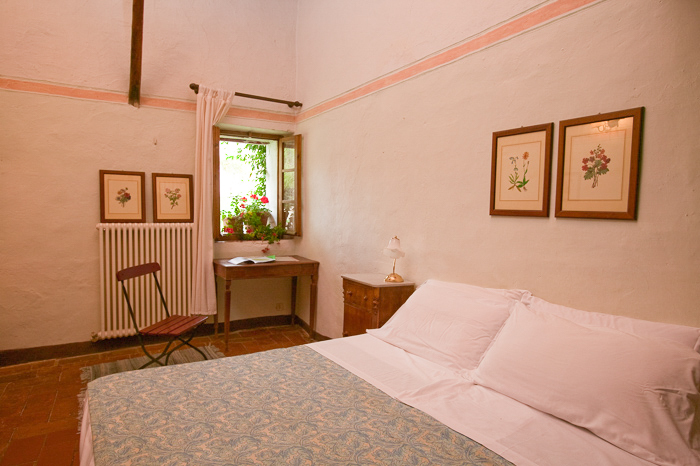 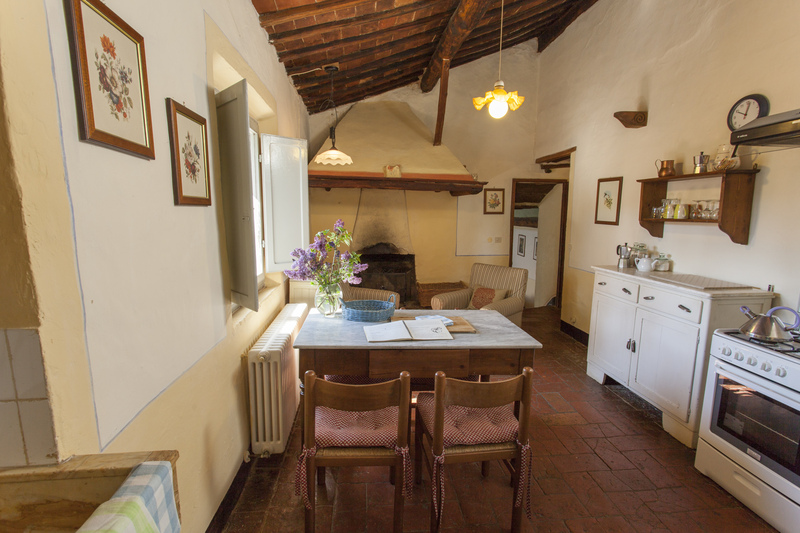 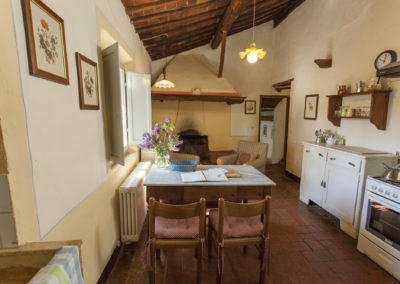 Casa del Fantino (sleeps 4-5) is a cozy house, located in the main Castello courtyard, near the swimming pool, guest office and shop, and dining room. 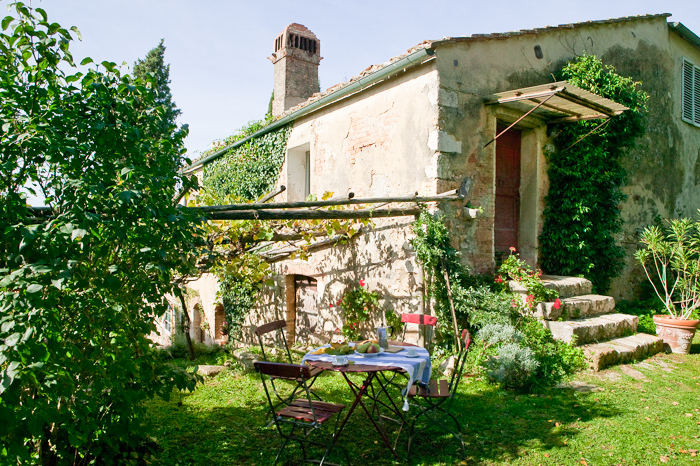 The house is adjacent to Casa Dami. 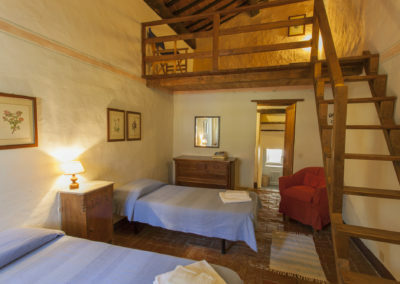 There are 2 bedrooms, one with an extra sleeping loft, a spacious bathroom with a full tub/shower and a washing machine, and a small reading nook perfect for curling up with a good book. 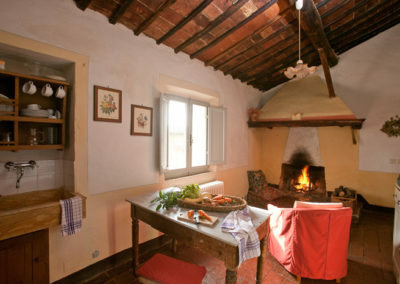 The fireplace in the kitchen/dining area provides warmth and a cozy atmosphere on colder nights. 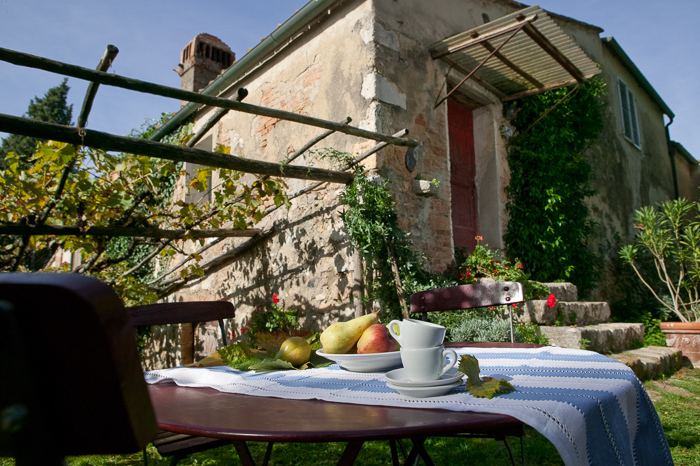 In the warmer months, most guests eat outside under the attached pergola covered with white Trebbiano grapes.